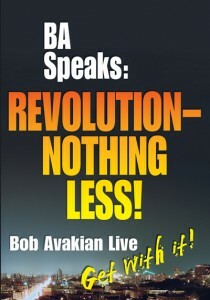 In the fall of 2012, Bob Avakian gave a series of talks in different cities. This is a film of one of those talks, produced by The Bob Avakian Institute in 2013. BA Speaks: Revolution– Nothing Less! 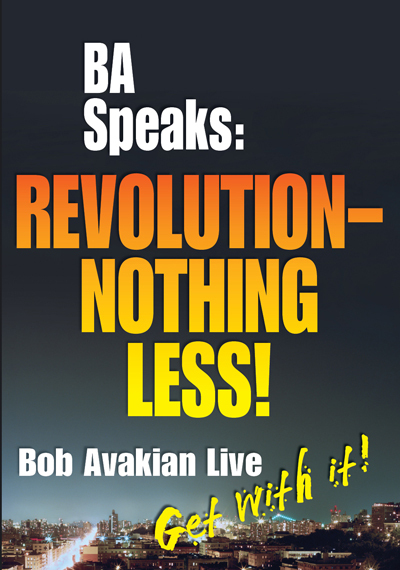 My conversation with Bob Avakian and my reading of his strategic plans for revolution have been challenging to say the least. To begin the conversation with focused attention on the poor and the marginalized fits my religious and biblical sensibilities. To give voice to the voiceless; to empower the powerless… these things speak to my heart as an ordained pastor and theologian. We may diverge on the various strategies employed to achieve a more just society. We may be identified by our disconnect when it comes to religion in general and Christianity in particular. But, there is great benefit in engaging in the dialogue, listening to Avakian’s critique and proposal for change, and discerning your place in the ordering of society as we move into the twenty-first century. Go, listen and learn. Engage in the dialogue and critical synthesis yet unfolding. The uncritical support of any public figure or philosophy is folly. And the test of effective strategy shall not come without intense interaction and dialogue.